With the rapid progression of self-driving automobile technology from manufacturers such as Tesla and Google, the automobile insurance industry is preparing itself for wide-ranging changes that will disrupt almost every aspect of its business model. 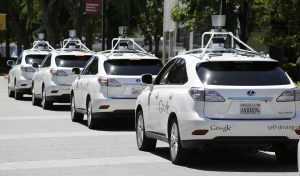 Traditional insurance policies will become obsolete if the autonomous cars are as safe as their manufacturers claim they will be: independent estimates have surmised that auto accidents could plummet by up to 80% within 25 years. 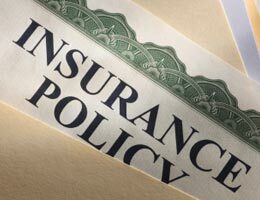 However, reports of the insurance industry’s demise have surely been exaggerated. The one constant in adoption of new technologies is uncertainty, and if there is one thing that insurance companies thrive on, it is this uncertainty. Here are a few aspects of the self-driving revolution — and what they mean for insurers from coast to coast. One of the main debates about automated vehicles in insurance circles concerns the issue of liability: when a self-driving car crashes, who is to blame, the vehicle, the driver, or the vehicle’s manufacturer? Many car manufacturers will likely prepare for the latter possibility by providing their own insurance policies that come with the purchase of a car. This practice could subvert the traditional model, where separate companies sell cars and provide insurance, and could introduce new competition into the insurance market. recently commissioned a study that found a sharp increase in manufacturer liability and an equal decrease in driver liability were likely consequences of mass adoption of self-driving technology. The auto industry will have to figure out a way to compete with new providers like Tesla and Google in order to remain viable. As many experts have pointed out, self-driving cars will not negate the need for any auto insurance whatsoever: they will simply impede the necessity for driver collision insurance. The other products that insurance companies provide, particularly theft and damages insurance, will still be important products to market and purchase. Just because a car drives itself, does not mean that falling trees will necessarily avoid it; similarly, thieves are just as likely to rob an automated car as a manual vehicle. Insurance companies will have to look at how to market other smaller policies to existing customers; this will help soften some of the blow while the industry figures out how to adapt to the new reality. And adapt they will! There are thousands of ideas floating around the insurance industry right now that propose upending the business from within before it is upended from outside. One of the most compelling concepts aims to introduce ultra-personalized minute-to-minute insurance policies that only kick in during dangerous driving conditions or situations. Essentially, when drivers (or insurers) feel that their car is more likely to crash, the car will notify the driver that a mini-policy can or must be purchased for a few dollars — short of a similar concept as Uber’s surge pricing policy. For example, insurers could offer a $3 policy for an hour-long rural trip on a rainy night through roads where moose are known to live. The driver would pay a small amount of money to mitigate the damage of a potentially catastrophic accident — the precise intent of traditional insurance. The auto insurance industry is not dead: it simply must adapt to the new risks inherent to self-driving cars. There are always opportunities for risk mitigating actors in environments of uncertainty, where new technologies are disrupting old ways of doing things. The car insurance industry will not operate the same way in ten years as it currently does, but that is not necessarily a bad thing — for the industry or for its customers. David Glenn is a business writer who has been featured on sites like Dwell.com, Business2Community.com and SocialMediaToday.com. He draws from 30 years of experience as a business owner.